Vikram Thakur, technical director of Symantec Security Response, told MeriTalk that his company found strong evidence linking the WannaCry virus to the Lazarus group, a cyber crime group responsible for many high-profile hacks over recent years. 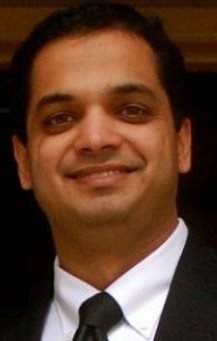 “We found that those tools which were being used with WannaCry were really just evolutions of Lazarus tools over the years,” said Thakur, explaining that though they were unable to identify “patient zero” in the hack, the tools used to develop WannaCry and its predecessor were incredibly similar to those used by Lazarus. However, though Lazarus has worked with nation-states before, such as with North Korea on the hack of Sony Pictures in 2014, this hack did not have indicators of a nation-state. Thakur added that faults on the code, such as the existence of a kill switch and bugs in the program, indicate that the hacks were executed with less sophistication than a nation-state would provide. According to Thakur, these indicators mean that researchers must consider a more diverse set of motivations for the Lazarus group to use this software. He explained that it was possible for someone to have stolen the code or for an individual member of the Lazarus group to have used the code for their own personal gain. However, the Lazarus group’s past involvement with hacks for North Korea and Symantec research showing that the cyber threat landscape has experienced a major shift toward politically motivated attacks, indicate that the WannaCry code and others developed by the group could be used in a future nation-state hack.